As moms, we usually don’t make the time to pamper ourselves or have some time off from our daily lives. 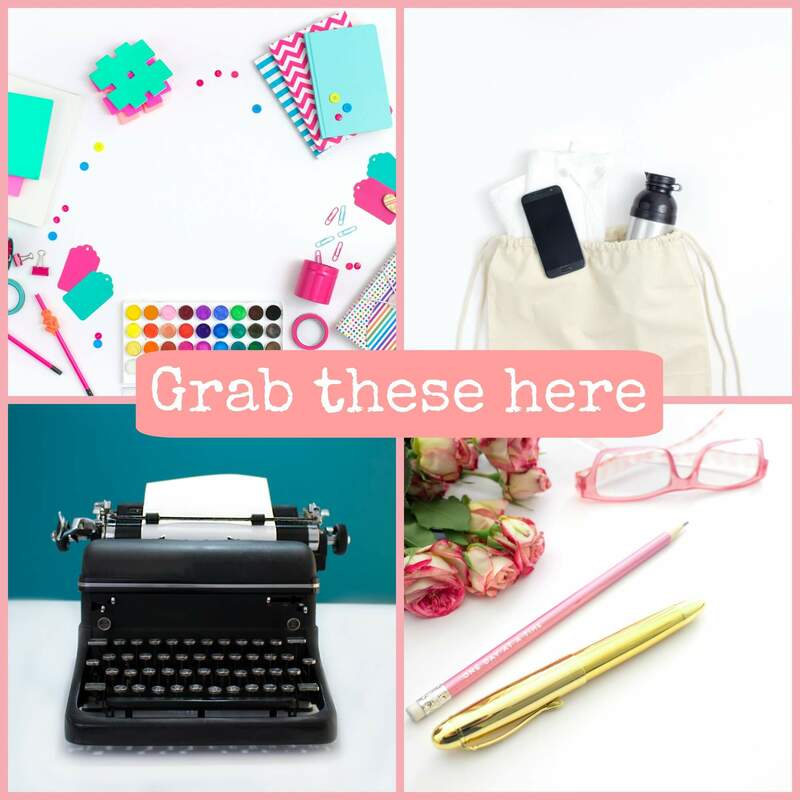 Some moms work full-time jobs outside the home, work full-time from home, or are full-time mommies, which all of us are full-time moms. We always worry about our kids no matter where we are. 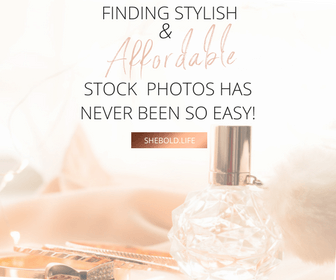 Sometimes you just need a girls day out and enjoy yourself without having to worry about dishes, laundry, or work and just take that much deserved time for yourself. 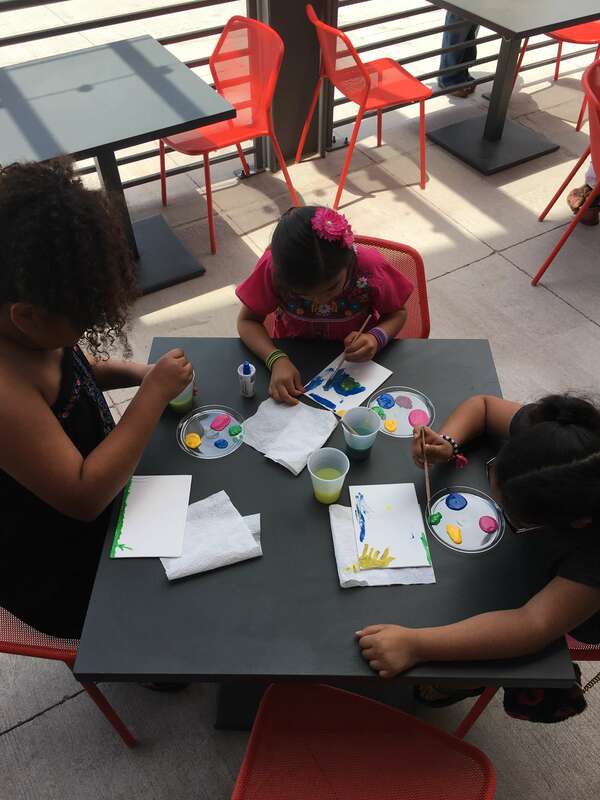 This past weekend I decided to do just that and invited my sisters to an event held at a local movie theater to celebrate a famous Mexican artist, Frida Kahlo‘s birthday, which is today, July 6th. The event was hosted by The Borderland Fridas to pay homage to Frida and to celebrate her birthday as the event was named, “Homenaje a Frida Kahlo.” If you’re new to my blog, in this blog post titled Tomorrow I am, I wrote about a hypothetical scenario where you could become anyone in the world, who would you be? 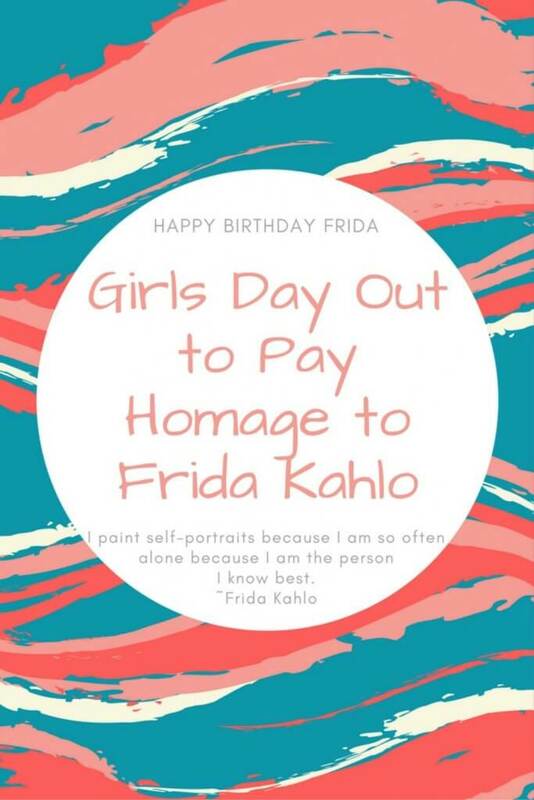 Well, I talk about me wanting to be Frida Kahlo, which you could read about it in Tomorrow I am. After seeing the event posted on Facebook, I immediately asked my sisters to join me and enjoy time as sisters and mommas that we are. My hubby spent time with our boys so I could have a girl’s day out. 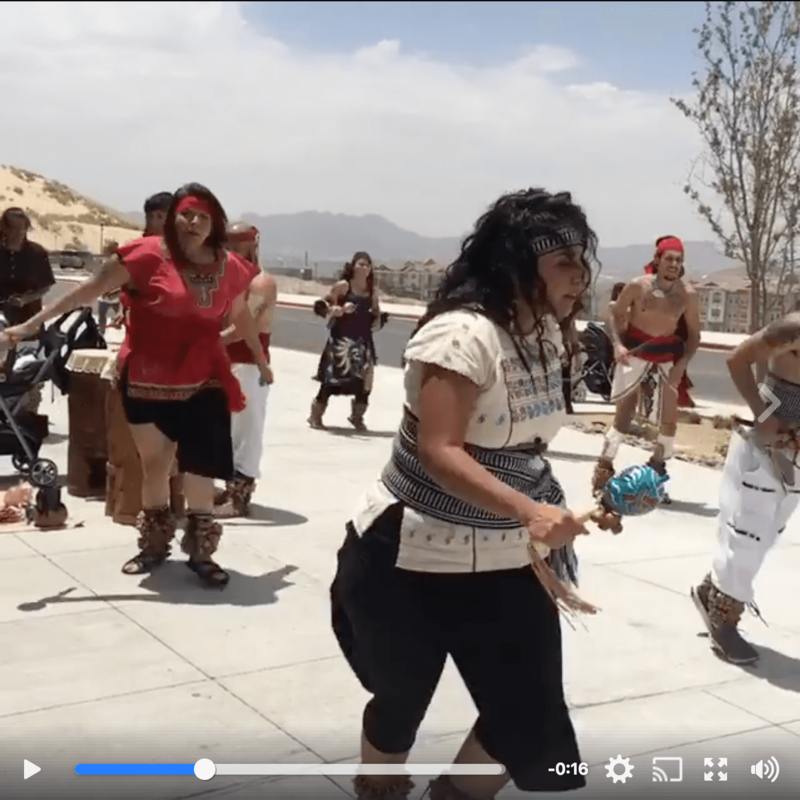 We arrived at the event and they had a group of performers called Danza Azteca Omecoatl. Watch the video by clicking on the image below which will direct you to the post on my Facebook page. These dancers perform traditional ceremonial Aztec dances dedicated to Mother Nature and they perform at various cultural events like this one. This next event brought back memories from when I was in high school and used to perform in front of my classmates. These were performances by local Ballet Folkloric Dancers. These are dances that emphasize local folk culture which you can read more about it on Wikipedia. 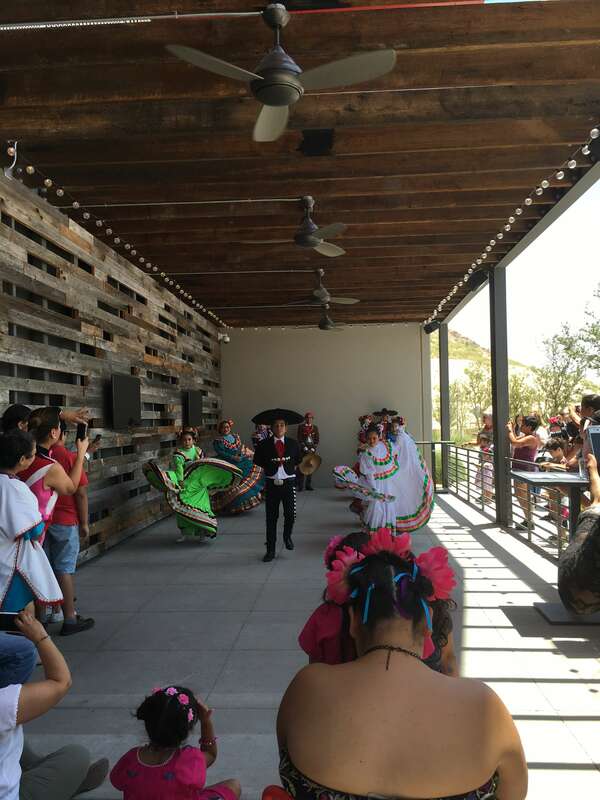 If you enjoy dancing and you’re interested in learning to dance folkloric dances either as a hobby or just to have a mommy time out, check out your local dance studios or event planners to see if they have any upcoming classes. It was a wonderful experience especially with my nieces, seeing the cultural and folk dances. Maybe they too can participate in such dances soon. They had other folkloric groups and duets, an adult workshop self-expression through self-portraiture and a Frida Look-a-Like contest which we didn’t participate since the kids were already tired and wanted to leave. Hence why I didn’t take my munchkins. But it was fun and I enjoyed time with my sisters. There were also many local artisans present at the homage to Frida and lots of beautiful crafts. 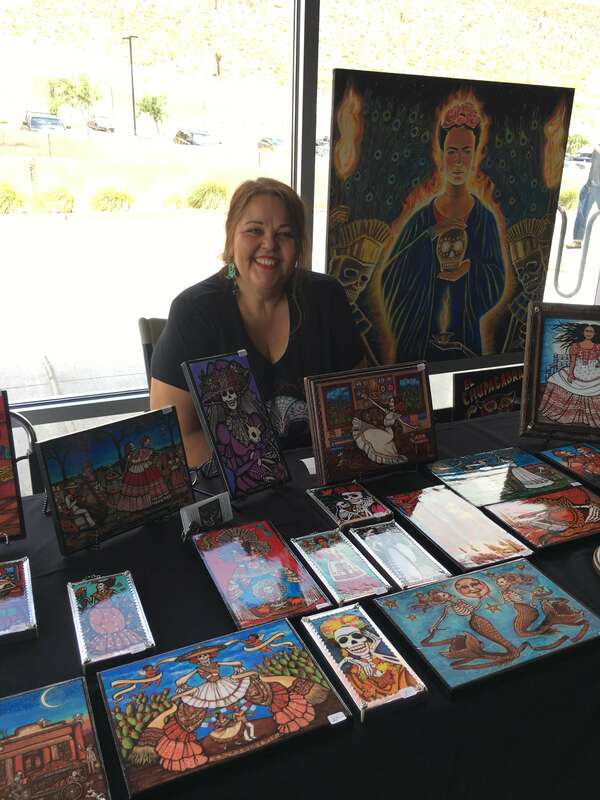 Meet Georgina Diaz, which you can send her a message on her personal Facebook page or visit her on her blog Llorona Arts. She can be contacted on her email, barrobabe54@yahoo.com or reached by phone 915-740-5455. As you can see below, she creates unique and beautiful works of art in canvas, paintbrushes among other media. 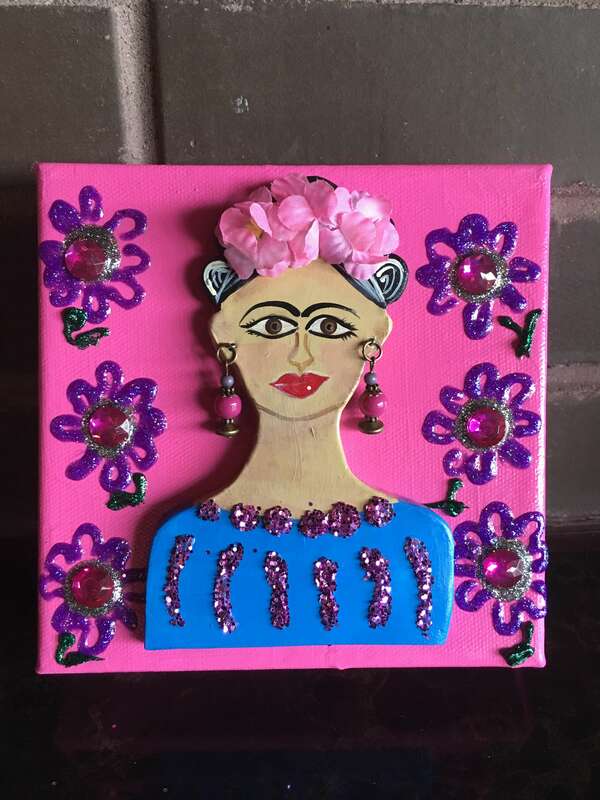 Another local artisan, Pamela Enriquez-Courts can also be found on her Facebook page, can be emailed at regalosdelsol@msn.com or contacted by phone at 575-520-5246. 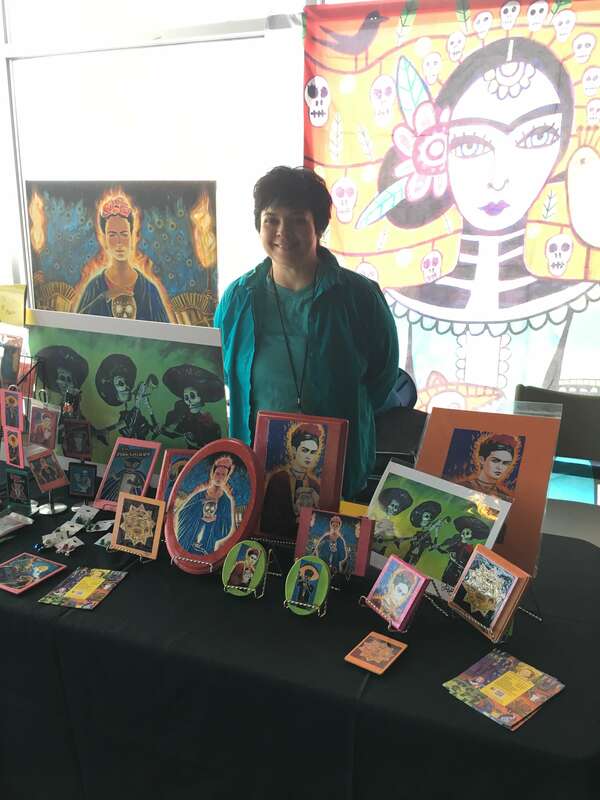 If you love her artwork and Mexican Culture, visit her to see current works, upcoming shows, online sales, and GIVEAWAYS! Another wonderful artisan I met was Lizzie Ochoa which you can follow and like her Facebook page, The Art of Lizzie Ochoa. You can visit her page to see many of her custom artwork such as portraits, murals, and life-sized figures like the one below her image. 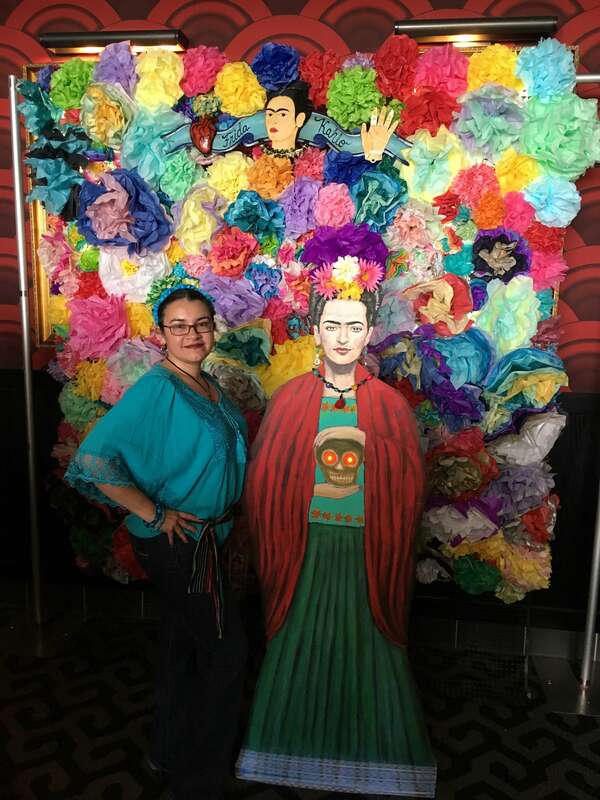 One of the 2D figures Lizzie made for this special event in which I had the privilege like so many others to take a picture with Frida, even if it’s only a life-sized figure. There were other artisans which I didn’t get a chance to talk to or take photos of, but they all had wonderful pieces for sale and I would’ve wished I could’ve taken their pictures but due to people checking out their artworks, I didn’t want to interrupt a sale. It was a much needed and deserved time out for myself and a time to spend with my sisters and nieces. 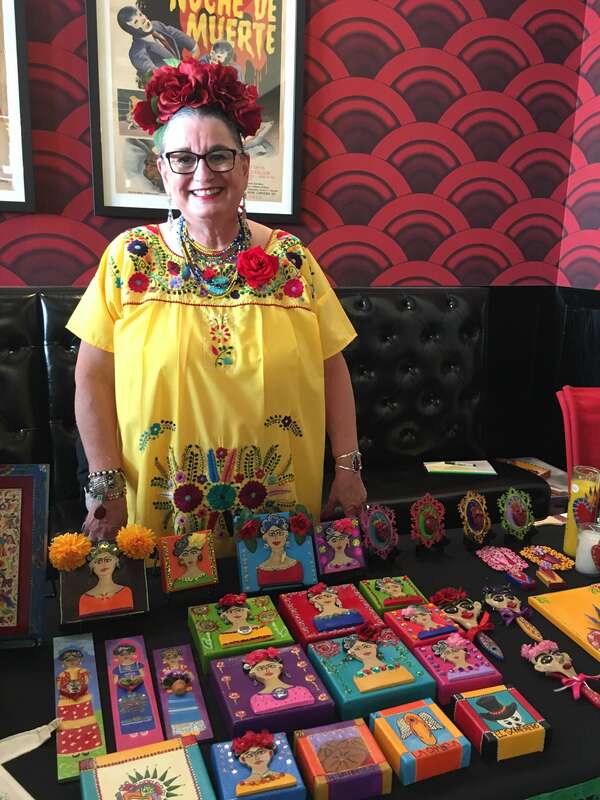 We really enjoyed this event to celebrate Magdalena Carmen Frida Kahlo y Calderon, born on July 6, 1907, and passed away July 13, 1954.